Embark on a magical 11 night trip through Western Malaysia, and explore its rich culture and beautiful tropical surroundings with our expert guides at hand. You’ll begin your journey in the capital Kuala Lumpur; with a few Black Tomato tips and tours under your belt, you will learn the true flavours and hidden gems of this cosmopolitan capital city that few people get to see. You’ll then head to the Cameron Highlands and admire the luscious green rolling hills and pristine nature away from the crowds. After relaxing at your quaint abode you will head to Penang, where you’ll discover this bustling colonial city through immersive walking and art tours with our expert guides. 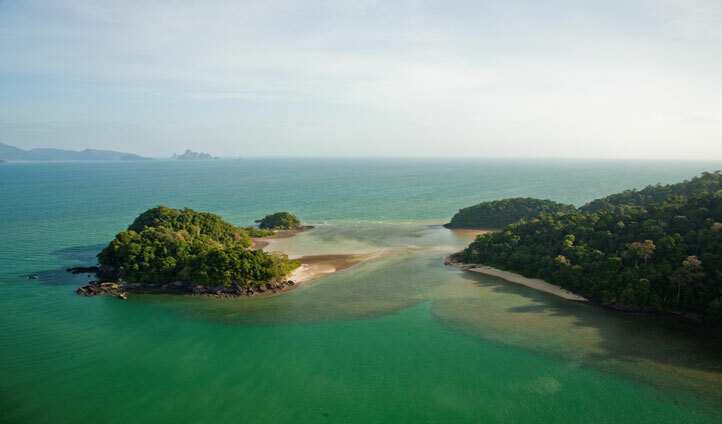 Finally, we’ll fly you to Langkawi Island where you will discover the charming and enchanting natural landscapes as well as the Batu caves, and soak up the sun at our favourite beachside hideaway – The Datai. 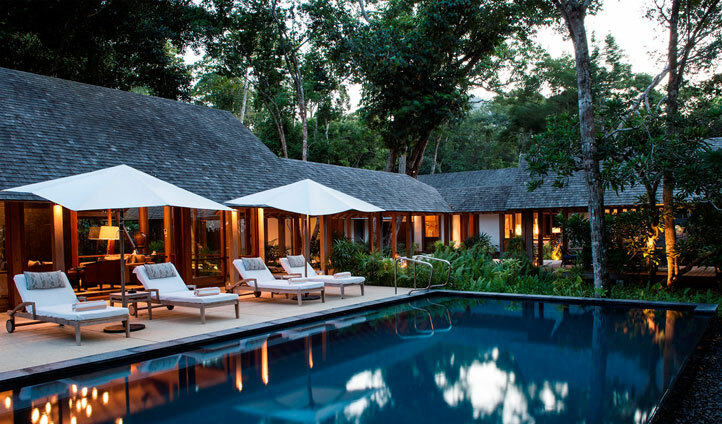 After arriving at the capital city you will be whisked off to your beautiful hotel Villa Samadhi, where you will be staying for the next two nights. Situated just outside of the city, away from the hustle and bustle this is the perfect place to relax and enjoy the calm surroundings. The next day, prepare to feast your eyes (and stomachs) on the extensive array of local cuisines on a walking tour around the streets of Kuala Lumpur. Your five-hour walking food trail will delight your every sense with a mixture of vibrant colours, exquisite tastes and evocative smells. On this tour you’ll use local means of transports with your guides which is a great way to experience the city from a different angle. Follow your guide through the picturesque streets to uncover the true meaning of Malaysian cooking. This gastronomical journey of discovery allows you to indulge in some traditional and famous food such as Nasi Lemak the fragrant rice dish, Cendol the traditional Asian desert and Roti Canai, the traditional flat bread perfect for dipping into the scrumptious sauces. Your journey will come to an end leaving you with some time to relax at the hotel where you can enjoy a dip in the over-sized plunge tub and savour those delicious memories of the day. After tasting the flavours of Kuala Lumpur, the next part of the journey is a treat for the eyes. The next day we will take you by private road transfer on a breathtaking journey to the Cameron Highlands. You’ll have a chance to stop off on the way and explore the Batu Caves, the famous site of the annual Thaipusam festival where almost a million devotees congregate. After exploring the caves, if you are feeling adventurous you can tackle the 272 step climb which leads you to the top of a natural limestone cavern which houses a stunning Hindu shrine. After reaching Cameron Highlands Resort where you will be staying for the next two nights, you will be able to relax and soak up your rural surrounding habitat. Our countryside tour the next day is the perfect excuse to explore the wide variety of flora and fauna. You will be cruising through the green carpets of the BOH plantation, which is the local company that is the pioneer of tea growers, sipping delicious tea at the famous tea factory and admiring the various types of flowers and vegetables used by the local farming community. Enjoy a spot of lunch, feasting on the fresh ingredients that you have just been educated on and return to the hotel, where you will have the next day free to do as you please. There are a vast selection of activities to keep you occupied at the hotel, from uncovering the signature murder mysteries in the Misty Mountains, to embarking on waterfall and nature trails, to playing golf on the stunning golf course located in the Mountains.